What is it about? – This book is a good introduction into pottery for beginners and covers a variety of topics that someone just starting in pottery might not consider. Some topics include types of clay, tools to use, forming slabs, pinching, coiling, throwing, and mold making. However, for the more experienced potters it might not be as useful and will be a review of many techniques they already know. Also, there seems to be some gaps in steps for some of the processes, although this shouldn’t be an issue for the more experienced potters who know what step isn’t included. These gaps in step descriptions can cause issues for those who are new to pottery. What is it about? 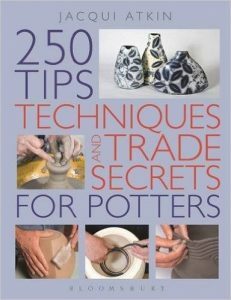 – This book works well for both introductory potters and experienced potters. There is so much information covered in this book along with illustrations and descriptions that this book will be a helpful addition to almost any potter’s library. This book is useful for both hand builders and throwers alike. There are many techniques covered in this book : scraffigo, mocha diffusion, agateware, burnishing, salt and soda glazes, lusters, saggar and pit firings, and so many more! If you’re interested in expanding your surface techniques this book is the one to get. The only possible issue with this book is that there could be more of a detailed explanation and walk through for the processes as some of the sections seemed a little too brief. What is it about? 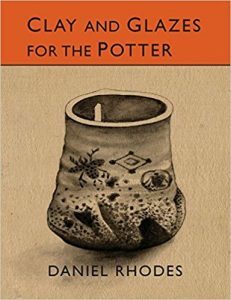 – This book is one that both new and old potters should add to their collection. It will not only give you information for how to keep yourself healthy in the studio (related to posture, throwing, wedging, and so on) but will also recommend the amount of clay to use for different pieces when throwing. This book is a life saver for beginners who aren’t sure the amount of clay to use for bowls, cups, mugs, vases, and so on. It is a beautifully illustrated book, with work by other potters. It is also filled with a wealth of information to try and solve common issues that happen when throwing on the wheel or with many other disciplines. What is it about? – This book goes into the nitty gritty details of clays and glazes. Topics covered include the origins of clay, the nature of glass and glazes, oxides and their function in glaze forming, calculating glaze formulas, and many more. 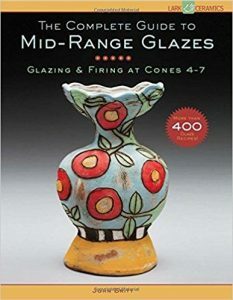 If you have questions about clays or glazes this book can help you find the answers. 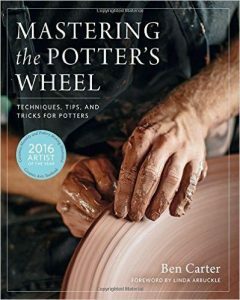 This book is helpful for all potters of different experiences, but at times can be a little confusing for potters just starting to experiment with glazes. What is it about? 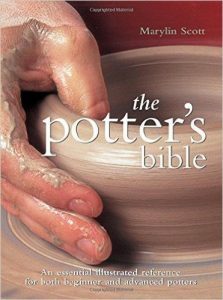 – This book is another one that all levels of potters should add to their collection. There are many recipes, tips, and explanations when it comes to understanding both your clay body and your glaze. This book will help you achieve brilliant colors in an oxidation kiln that are usually only seen in reduction kilns. Some bonuses of this selection are that the author also discusses wood, soda, and salt firings. There are many pictures in this book that show off great examples of the clay and glaze, and detailed explanations which should help all levels of potters. View all of our Pottery Books.